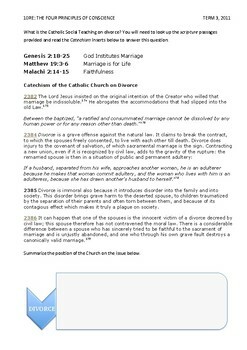 This activity sheet focuses on the Year 10 Religious Education content of Conscience. 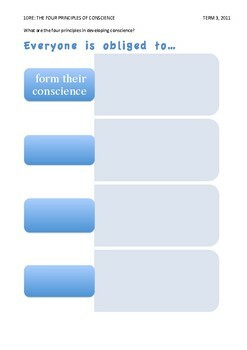 In particular, it is focusing on the four principles of conscience. 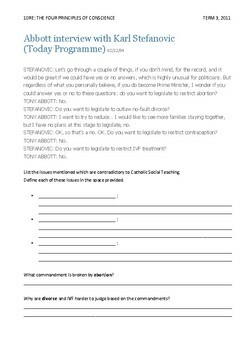 The content from this activity sheet is based on the Catholic West Australian Curriculum and the Come Follow Me textbook. 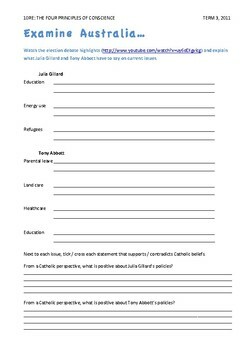 This activity requires students to list, describe and reflect on situations in society and how it relates back to Conscience.